Set among picturesque valleys and rolling hills, the wineries in Temecula are becoming known as some of the best destination wedding locations in all of California. These wineries and estates have been attracting couples with their peaceful trails, spectacular views, beautifully manicured vineyards and exceptional wines. For many residents of Southern California, Temecula is only a short drive, yet it feels like you are a million miles away from the bustling city. That combination of convenience and beauty make Temecula an ideal spot for a destination wedding. Here are the top 5 wineries in Temecula that offer the perfect locations for your big day. You can expect each winery on this list to offer first-rate service, hospitality and to leave you with a memory that will last a lifetime! Leoness Celler Winery likes to call itself one of the friendliest wineries in Temecula, and rightly so. Couples looking to get married here are treated to fantasy-like locations and exquisite surroundings. The attention to detail is outstanding and the views that the lush grounds offer are incredible. Choose the beautiful barrel room as the location for your reception. It offers stained concrete floors and chandeliers for an authentic winery experience and can accommodate up to 250 guests. They also have a ceremony lawn that is located right in the midst of the beautiful vineyards. And the best part is, you don’t have to share the winery with others because it offers exclusive bookings for weddings. A professional coordinator assists the bride from the moment she steps foot in the winery. The most romantic rooms are reserved for the entire bridal party and their guests. The winery offers couples the option to dance the night away in their authentic barrel room or under beautiful chandeliers. The staff are incredibly professional and you never feel the need to run around town because everything that you could possibly need during for wedding can be found on-site. Wine country cuisine, an intimate setting, breathtaking views and sophisticated service all define Wilson Creek Winery. What more could you ask for? This Temecula winery welcomes your guests to a world of luxury with its Tuscan-inspired champagne ballroom, open-air gazebos, vineyards and barrel rooms that can make your dream wedding come true. Host a gathering of up to 350 guests and use the services of the winery’s experienced wedding professionals to help you make things run smoothly on your wedding day. They take away all the work so that you only have to worry about having fun with your family and your friends. Wilson Creek is also famous for its exclusive almond champagne. Wiens Family Cellars is an intimate winery that lets you enjoy your wedding surrounded by vineyards in a romantic winery setting. Choose from the fully enclosed event pavilion, outdoor vineyard viewing area or the romantic cellar room and enjoy carefully crafted cuisines that are always prepared using the freshest local ingredients. If you’re searching for a winery in Temecula that make your weddings intimate and romantic, this is where you need to be. Europa Village Winery and its wine are both famous for being charming and sweet, and every trip to this beautiful winery is like a trip to Paris. The atmosphere reminds you of the City of Lights and the Parisian style tasting room ends up being the highlight for many guests visiting the estate. Europa Village is all about old-world charm and authentic values. The winery employs a Certified Wedding and Event planner to handle all the details of your big day. She can help you create the wedding of your dreams in this uniquely European setting. Also, couples can meet the head chef over a glass of wine to discuss the menu for their special day. Chef Dean will prepare a fantastic rehearsal dinner that is served in the Spanish Garden where old-world style wines are paired with excellent hors d’oeuvres. On the day of your wedding, a spacious suite is reserved for the bridal party at the Inn at Europa Village to ensure that they have enough space and privacy to relax and prepare for the wedding. Europa Winery really goes out of its way to make your weddings special and the staff are always cheerful and genuinely kind. Perfect atmosphere and perfect service, one of the rarest combinations, feel so natural here. 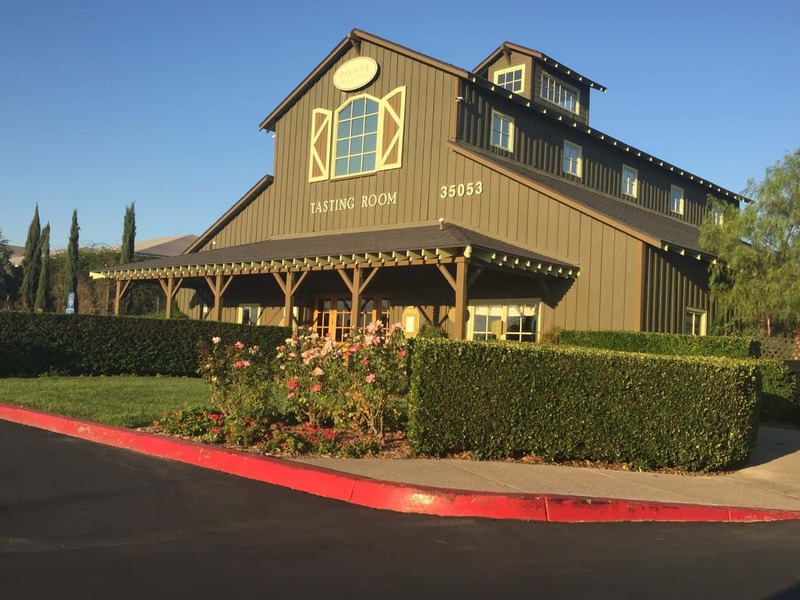 The best wineries in Temecula can go a long way in creating memories that last you a lifetime. If you research our suggested wineries and don't find one you like, don't worry. There are over 40 wineries in Temecula wine country and they all have unique personalities and amenities. Review our Temecula winery page and see if there is one that's right for you. While you researching, you may want to read our tips for planning a winery wedding.